What started as a gift to myself on my 60th birthday is the gift that keeps on giving. While we strive to remain young at heart, our bodies do go through significant changes as we age. Our fondest wish is to live an active, vital life, retaining the ability to meet the demands of each day with grace, strength and stamina. 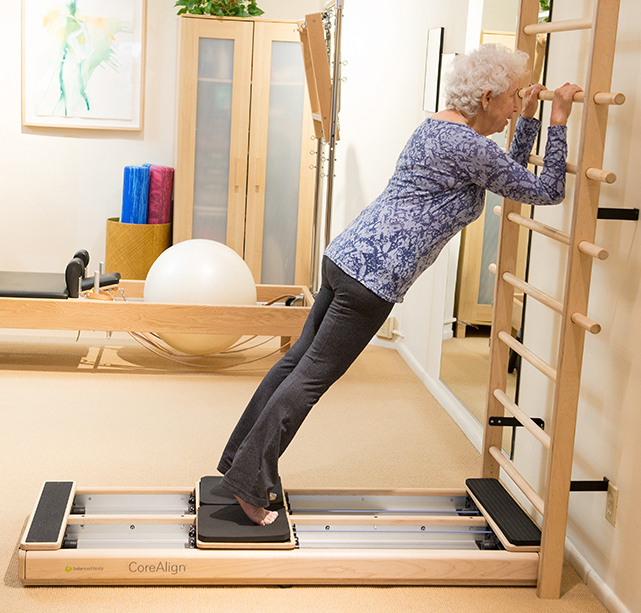 A spirited Pilates practice will honor and address these changes that we undergo later in life. Pilates exercises are easy on the joints and help to restore a full range of motion while diminishing stiffness and discomfort. finetune’s whole body approach promotes strength and endurance, while reinforcing balance and agility. Pilates also encourages you to move with awareness and clarity, deepening your concentration and mental acuity. Over time you will gain confidence in your body and maintain the ability to participate in the activities that you love. 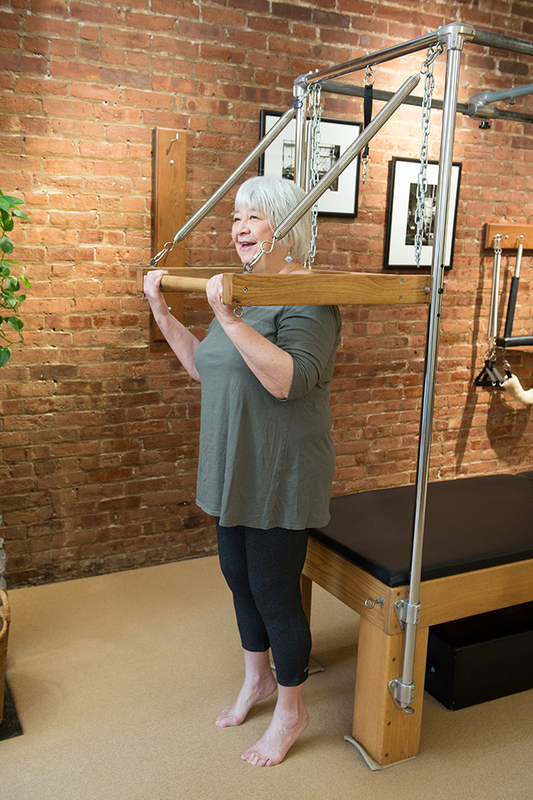 Our instructors take a creative approach to creating sessions that support your goals; over the course of an hour you may flow through a sequence on the pilates reformer, learn simple dance steps, navigate an obstacle course, or practice staying poised on a wobble board. Moving with ease and pleasure, Pilates at finetune helps you to let go of perceived limitations and take the path that is exactly right for you. Don’t be surprised if you have some fun along the way.